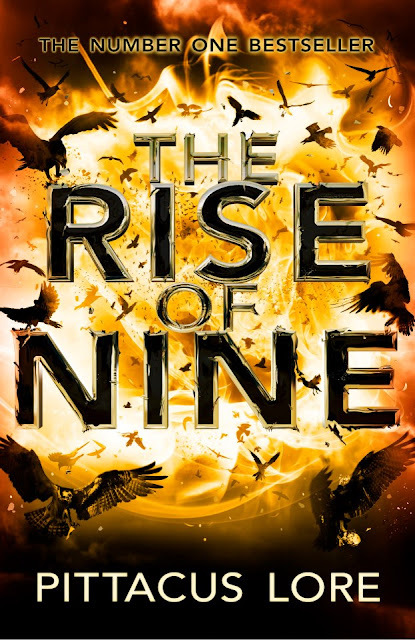 Empire of Books: The Rise of Nine gets a new look paperback cover! Due for publication in June, the paperback edition of The Rise of Nine, the third book in the Lorien Legacies series by Pittacus Lore, is getting a bit of a facelift. Revealed yesterday by the official UK Facebook page for the series, run by publishers Puffin, it's totally different to the look of the hardback edition which was released last August and I for one like it. It's striking, that's for sure! I will be honest though, I prefer the hardback which was just too damn epic! And it is definitely getting me excited for Book Four. Is it August yet? Wake me up when it gets here! Thanks! I really like it too! It seems so action packed and just simply WOW! whoa!that cover is epic! I would buy a book with that cover in a heartbeat.